How to sort tables by name rather than card #? How can I sort the "Defect Reported in Sprint" by the name of the card, rather than the card number? You can use ORDER BY. Oh actaully I just looked closer at that... I'm not sure if that is going to work because the property value is the number and the name. 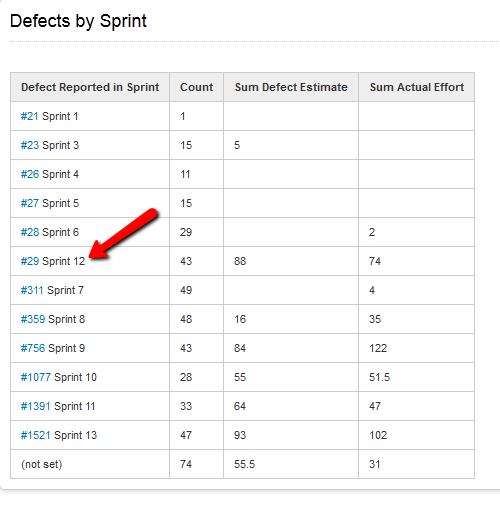 This assumes that Sprints and Defects are related in a tree structure and that you can created two aggregates called "Sum of Defect Estimate" and "SUM of Actual Effort'". 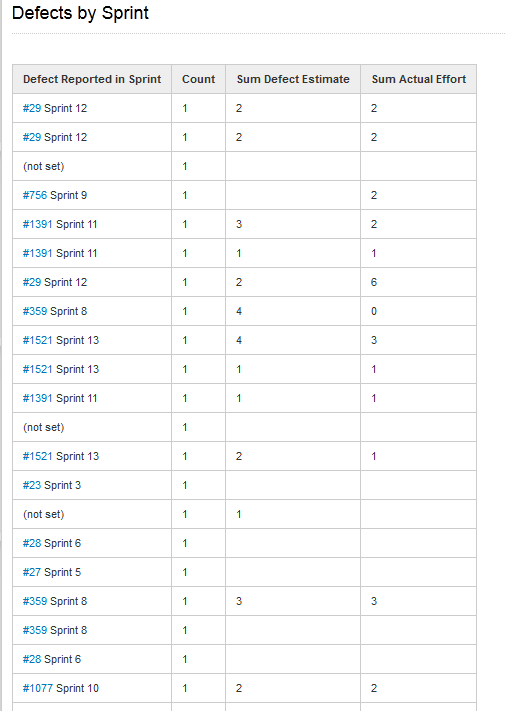 This will give you a list of the sprints (sorted by name) with column for count and the two aggregates.